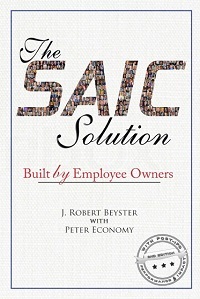 Closed Published by Dr. Beyster December 31st, 2013 in Employee Ownership, FED, SAIC. I hope you are all looking forward to the New Year like I am. It has been quite a year for me, but I still have much to do. I am very pleased with the progress we made in 2013 on a variety of different projects and initiatives. 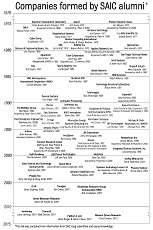 It gives me hope that there still is a future for employee ownership. In fact, from what I can see, interest in it is growing. I am happy to see that the economy continues to improve by most measures, though the Republicans and Democrats both stumbled badly with their handling of the government shutdown. It was unnecessary, and it caused disruptions within most federal government agencies with ripples throughout the government contracting industry. I sincerely hope that our politicians in Washington will stop their partisan bickering and work more closely together in 2014. Of course, the big news this year was the split up of SAIC into two separate companies. It is something I did not favor, but now that it is done, I wish both companies and their employees all the best. 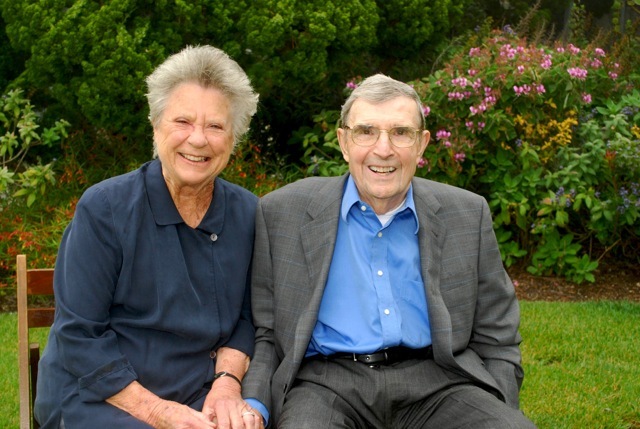 In February, my wife Betty was selected by the San Diego chapter of the American Heart Association to be recognized among their Legendary Women of the Heart. In March, the FED’s new film about employee ownership We the Owners went into wide release, with screenings for a number of universities and business groups in the US and Europe. The film has been received very well by the public, business schools, and the employee ownership community. It has earned endorsements from a variety of organizations including the MIT Sloan School of Management and the National Center for Employee Ownership, and has received awards and selections by numerous film festivals. In April, SAIC’s new CEO Tony Moraco stopped by my home for a visit, and he left me feeling good about the company’s leadership and future. I was saddened that month by the passing of my good friend Ed Frieman, who served as Assistant Secretary of the Department of Energy and was director of the Scripps Institution of Oceanography in La Jolla. In May, Katherine Sebeck was named as a 2013-2014 fellow for the J. Robert Beyster Computational Innovation Graduate Fellows Program at the University of Michigan, and in June my daughter Mary Ann attended the opening of a time capsule buried at Campus Point 25 years earlier. In July, the FED hosted its fifth annual Beyster Summer Symposium and the number of fellows — and the research they are producing on employee ownership — continues to grow. While I made it to the ripe old age of 89 that month, Detroit wasn’t so fortunate — declaring bankruptcy and going on life support. For someone who grew up in Detroit during its heyday, this outcome was particularly tragic. 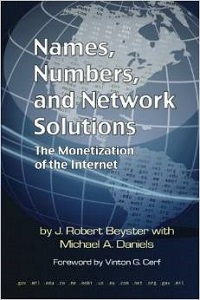 In September, SAIC was officially and irrevocably split apart, and in October my new book with Mike Daniels — Names, Numbers, and Network Solutions — was published. All in all, it was an exciting and productive year. I would like to thank everyone at the Foundation for Enterprise Development and the Beyster Institute for all their hard work in 2013. I look forward to following your future accomplishments with great interest. I invite my friends and colleagues to let me know how you are doing from time to time via this blog.